Iron Barcode provides a versatile, advanced, and efficient library for reading barcodes in .NET. 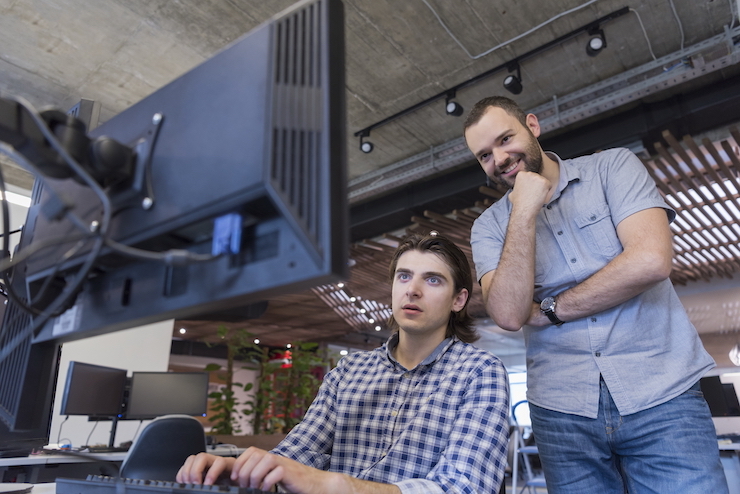 The first step will be to install Iron Barcode, and this is most easily achieved using our NuGet package, although you may also choose to manually install the DLL to your project or to your global assembly cache. 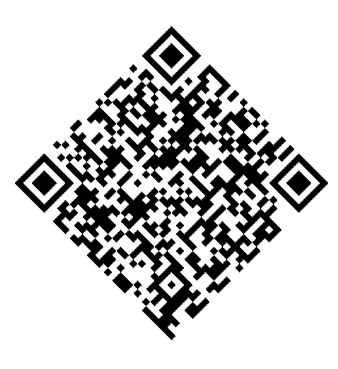 Reading a Barcode or QR Code in .NET is incredibly easy using the Iron Barcode class library. In our first example, we can see how to read this Barcode with one line of code. We can extract its value, its image, its encoding type, its binary data (if any), and we can then output that to the console. In this next example, we will add our TryHarder variable to the QuicklyReadOneBarcode method. This makes it try harder, literally taking more time, but scanning deeper for a QR code that might be obscured, corrupted, or at a skewed angle. In our example, you can see that we can specify the barcode encoding(s) that we are looking for or specify multiple formats. Doing so greatly improves barcode reading performance and acuracy. The | pipe character or 'Bitwize OR' is used to specify multiple formats simultaneously. The same can be achieved but with a higher degree of specificity if we move forwards to use the BarcodeReader.ReadASingleBarcode Method. In our next example, we are going to look at reading a scanned PDF document and find all of the barcodes of one-dimensional format in very few lines of code. As you can see, it is very similar to reading a single barcode from a single document, except we now have new information about which page number the barcode was found on. We find the following barcodes, on different pages. In our next example, we can see that the same result may be found from a multi-frame TIFF, which will be treated similar to a PDF in this respect. To read multiple documents, we get better results from Iron Barcode by creating a list of the documents and using the BarcodeReader.ReadBarcodesMultithreaded method. This uses multiple threads and potentially all cores of your CPU for the barcode scanning process and can be exponentially faster than reading barcodes one at a time. 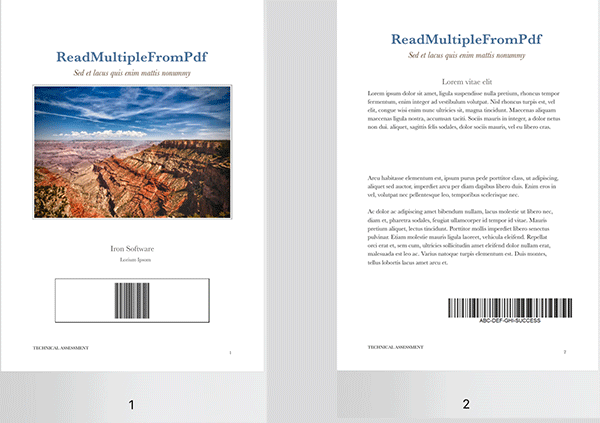 // The BarcodeResult.ReadBarcodesMultiThreaded method allows for faster barcode scanning of multiple images or PDFs. All threads are automatically managed by IronBarCode.
' 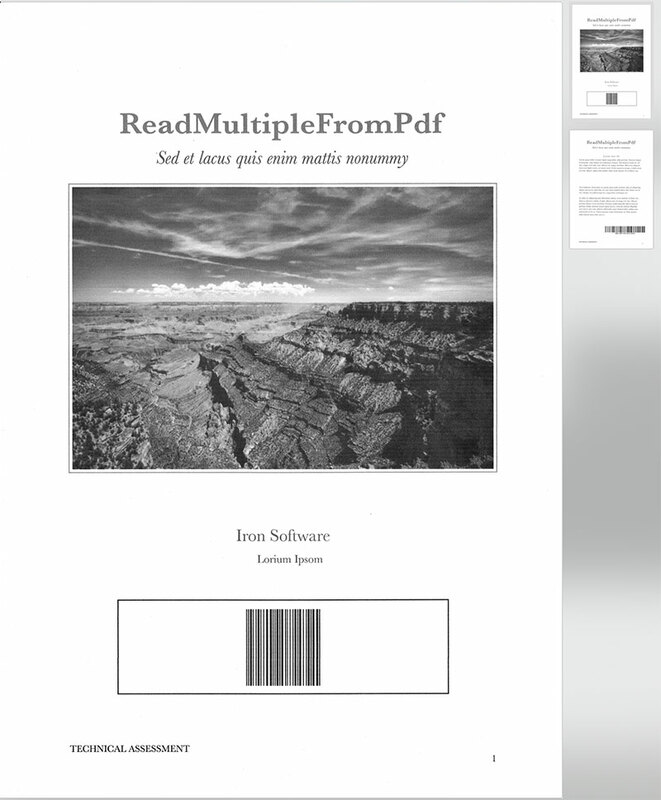 The BarcodeResult.ReadBarcodesMultiThreaded method allows for faster barcode scanning of multiple images or PDFs. All threads are automatically managed by IronBarCode. In real world use cases, we may wish to read barcodes which are not perfect screenshots. They may be imperfect images, scans, or photographs and contain digital noise or be skewed. With conventional barcode reading libraries and most open source libraries, this would be impossible. However, Iron Barcode makes this incredibly straightforward. In our next example, we will look at the TryHarder method of QuicklyReadOneBarcode. This single parameter causes Iron Barcode to try to de-skew and read barcodes from imperfect digital samples. In the photographs example, we will set specific barcode rotation correction and barcode image correction to correct for the digital noise and for the skew and perspective and rotation that we might reasonably expect from a cellphone camera. // * RotationCorrection   e.g BarcodeReader.BarcodeRotationCorrection.Extreme  un-rotates and removes perspective from barcode images. // * ImageCorrection      e.g BarcodeReader.BarcodeImageCorrection.DeepCleanPixels  separates Barcodes from background imagery and digital noise.
' * RotationCorrection   e.g BarcodeReader.BarcodeRotationCorrection.Extreme  un-rotates and removes perspective from barcode images.
' * ImageCorrection      e.g BarcodeReader.BarcodeImageCorrection.DeepCleanPixels  separates Barcodes from background imagery and digital noise. The next example shows us how we might approach reading QR codes and PDF-417 barcodes from a scanned PDF. Note that we have set an appropriate level of barcode rotation correction and barcode image correction to lightly clean the document, but not to incur a huge performance penalty by over-egging our needs. In the final example, we will see that Iron Barcode is even capable of reading a corrupted thumbnail of a barcode. Our barcode reader methods automatically detect barcode images which are too small to reasonably be an actual barcode, and upscale and clean all of the digital noise associated with thumbnailing; allowing them to be readable again. // Small or 'Thumbnail' barcode images are automatically detected by IronBarCode and corrected for wherever possible even if they have much digital noise.
' Small or 'Thumbnail' barcode images are automatically detected by IronBarCode and corrected for wherever possible even if they have much digital noise. In summary, Iron Barcode is a versatile .Net software library library for reading a wide range of barcode formats, and it can do so whether or not these barcodes are perfect screen grabs or are in fact photographs, scans, or other imperfect real world images. To learn more about working with Iron Barcode, you may wish to look at the other tutorials within this section, and also the examples on our homepage; which most developers find enough to get them started. Our Object Reference with specific reference to the BarcodeReader class and the BarcodeEncoding Enum will show you in detail what you are capable of achieving using this C# Barcode Library. We also highly encourage you to download this tutorial and run it for yourself. You can do this by downloading the source code, or by forking us on GitHub. The source for this "Barcode Reader" tutorial are available as Visual Studio 2017 Console Application project written in C#. Frank has been a founding force in the development of Iron Barcode. Working with IronOCR for the last year, Frank has been influential to building use cases within OCR for Iron Barcode to build out into the tool it is now.